A campaign group in Wales has urged the UK Government to give further support to pensioners in order to cover the cost of increased energy bills. The move could help cut down the number of vulnerable elderly people who die each year due to cold winters, according to Pensioners Forum Wales. With the cold weather refusing to go away this year, many homes were forced to use their heating more than normal, however this option is not always available for everyone with many living in fuel poverty. Fuel poverty is where a household spends ten per cent or more of its income on heating, with many in that bracket having to seriously consider whether to have heat or put food on the table: Figures in Wales suggest an estimated 332,000 homes are affected by fuel poverty in Wales alone. Pensioners in Wales chair, Nancy Davies, said: "Fuel poverty is a very serious problem - it contributes to the 1,500 older people who, on average, die every winter from cold-related illnesses such as heart attacks and strokes. "Tackling fuel poverty and its causes has to be a priority for government, energy companies and society. "This is why Pensioners Forum Wales has published 'What can be done to prevent fuel poverty?' so that we can identify the actions that can be taken to address fuel poverty." In terms of fuel poverty across the UK, a Fuel Poverty Advisory Group (FPAG) study in December 2012 suggested last winter alone could put an extra 300,000 more people into fuel poverty, with the group estimating the total figure could rise to more than nine million people by 2016. In response to the Pensioners in Wales group, the UK Government said it was aware of the issue of high energy bills and had measures in place, such as the cold weather payment to support those most needy. 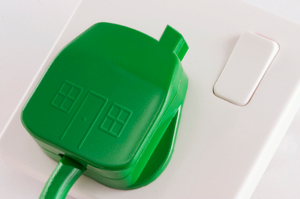 For other households looking to reduce their energy bills the Government also has its Green Deal initiative. Working alongside energy firms, the scheme allows homeowners to look at ways of improving the energy efficiency in their home, from fitting a new energy efficient boiler, to installing new wall and loft insulation.